Monel Alloy 400 Round Bars & Rods Manufacturer, Monel 400 Round Rods Supplier & Exporter in India. Manufacturer & Exporter of Monel Alloy 400 Round Bars & Rods, Alloy UNS N04400 Hex Bars, Monel 400 Square Bars & Alloy 400 Round Rods Supplier in India. Neon Alloys is one of the leading manufacturers and exporters of high quality of Monel 400 Round Bars & Rods, in India. 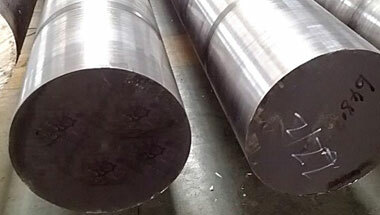 The Monel 400 Round Bars exported by our company is in great demand in the international as well as domestic market. Our product range is highly durable and corrosion resistant, made of Monel 400. These are playing an important role in structural and mechanical & general engineering applications. Offered at most affordable rates, these are designed from high grade raw material. Known for perfect finish, high tensile strength, durability and reliability, these Monel 400 Round Bars are available in both technical and standards specifications. Moreover, these Monel 400 Round Bars can also be custom designed to cater the variegated demands of our clients. We offer these Monel 400 Round Bars to our highly esteemed clients at market leading rates. Monel Alloy 400 Rods, Monel Werkstoff Nr. 2.4360 Round Bars, Monel 400 Round Rods, Monel Alloy 400 Hexagonal Bars, Alloy 400 Bright Bars Supplier & Monel 400 Bars Exporter in India. Sudan, Malaysia, Sri Lanka, Indonesia, Democratic Republic of the Congo, Kuwait, Jordan, Ghana, Germany, Uganda, London, Vietnam, UAE, Brazil, Ethiopa, Argentina, Israel, Tunisia, Russia, Bahrain, Canada, Egypt, Iran, Kazakhstan, Mexico, Dubai, Algeria, Morocco, Saudi Arabia, Chine, Venezuela, Peru, Iraq, New Zealand, UK, Azerbaijan, South Africa, Italy, Turkey, Nigeria, Trinidad and Tobago, Cameroon, Mozambique, Africa, Australia, United States, Colombia, Angola, Thailand (Bangkok), Houston. Maiduguri, Singapore, Dammam, Kaduna, Casablanca, Antananarivo, Harare, Port Elizabeth, Sharm el-Sheikh, Bulawayo, Pretoria, Aqaba, Douala, Kampala, Abu Dhabi, Ibadan, Colombo, Conakry, Durban, Dubai, Algiers, Fez, Jeddah, Tehran, Riyadh, Giza, Hong Kong, Mecca, Addis Ababa, Manama, Muscat, Rabat, Johannesburg, Tel Aviv, Byblos, Ouagadougou, Mbuji-Mayi, Dakar, Lubumbashi, Maputo, Khartoum, Jerusalem, Cairo, Brazzaville, Soweto, Omdurman, Bethlehem, Luanda, Cape Town, Yaoundé, Accra, Bamako, Lusaka, Lagos, Tripoli, Kano, Alexandria, Mogadishu, Amman, Freetown, Benin, New York, Subra al-Haymah, Nairobi, Beirut, Kolwezi, Port Harcourt, Cairo, Data from the UN, Dar es Salaam, Istanbul, Doha, Abidjan, Zaria, Kinshasa.